Although the Han Dynasty urn on the left was originally fired sometime between 206 BC and 220 AD and the decorative “syrup urn” on the right was fired nearly 2000 years later, in the late 1800s or early 1900s, the two objects seem related, none-the-less. 1. 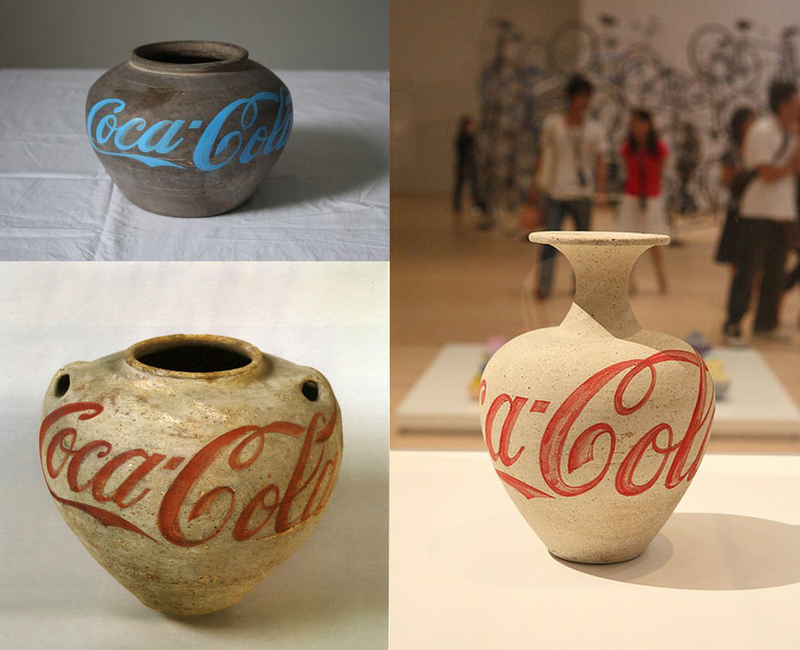 The urn on the left is one of Ai Weiwei’s contemporary sculptures using appropriated ancient artifacts. 2. 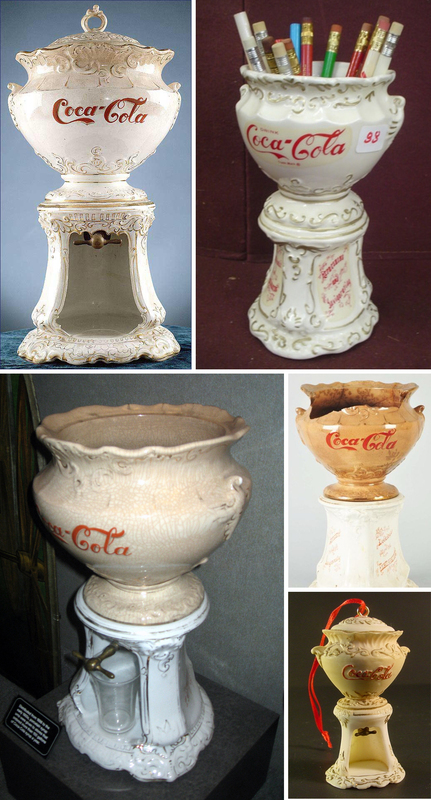 The second urn is one of the ceramic “syrup urns” made by the Wheeler Pottery Company for turn-of-the-century soda fountains. As with ancient Chinese pottery, some syrup urns are “authentic” and some are reproductions. In the 1950s Coca-Cola produced a commemorative “hard rubber” version. There are also smaller reproductions like the one holding pencils above and the 3 inch tall ornament on the lower right. I have this urn and am wanting to sell it. It isn’t in perfect condition but still in good shape and is beautiful.